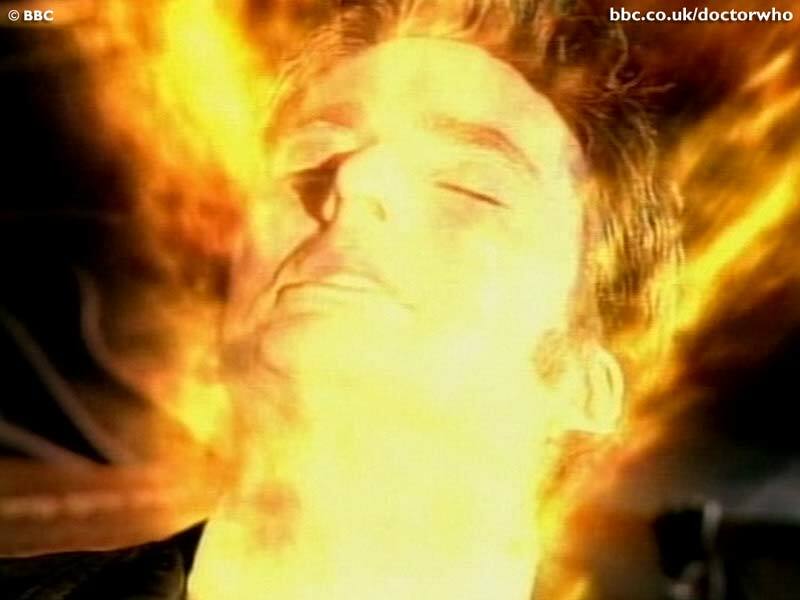 Okay, there is just too much DOCTOR WHO stuff locked in my brain to let me adequately sum up in one post all my impressions of “The End of Time,” the end of David Tennant‘s tenure as the 10th Doctor and Matt Smith‘s debut as the 11th. So I have decided to pen a series of entries covering different facets of the story. I cannot help but see EoT through the filter of a longtime fan of the series; I have seen every surviving episode from the series’ entire run. I have seen Doctors come and I have seen them go; from the sublime regeneration stories (Peter Davison‘s “The Caves of Androzani”) to the ridiculous first adventures (Colin Baker‘s “The Twin Dilemma”). Does that make me some kind of expert? Nah. It makes me a guy who has spent entirely too much of his life watching PBS and old videotapes, and thus has a lot of… stuff rattling around inside his skull. Ready? Allons-y! Show-runner Russell T Davies had plenty of time to figure out how to put a bow on his version of the series and, as might be expected, he did some things well, some things poorly – and some things were simply inexplicable. Perhaps his best move was to recognize that all anyone really cares about in a Doctor’s final story is – wait for it – the Doctor’s final moments. The rest of the episode is all so much running around until the Big Moment. (So perhaps Davies was winking at us older fans by making the Doctor and the Master literally run around in a quarry?) The Master’s…er, master plan (which he actually slapped together on impulse when confronted by the Immortality Gate) ultimately did not matter, and was casually usurped by the arrival of Rassilon. Meaning the intriguing visual of the Master’s face intermittently changing into a skull did not really matter beyond providing an excuse for sight gags of the Master eating ravenously. But I do give Davies props for wrapping up his plotlines (I will probably devote an entire post to dissecting the story itself.) with plenty of time to concentrate solely on the Doctor’s end.